A new student arrived at her lesson this week with music beautifully colored. Last week, I had encouraged Madeline* to write in her music. I suggested that if she missed something twice, she should mark it. (Miss It? Mark It! 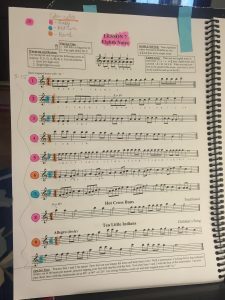 part 1) We have just started talking about how to practice, and marking the music seems like a good place to start. Madline’s lesson was well prepared and her practice was focused. I told her that I would take a picture of her colorful music and share it here, on my blog. 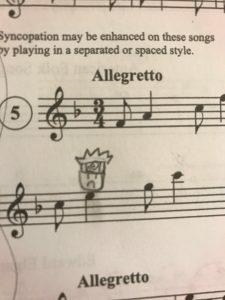 Perhaps it will inspire others to experiment with novel ways to mark music. 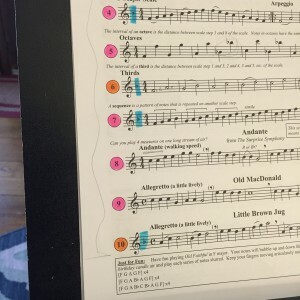 There are many creative solutions for marking music, some of which I have talked about elsewhere on this blog. I invite you to find systems that make your practice productive. Now there are three levels of difficulty: pink, blue, and orange. 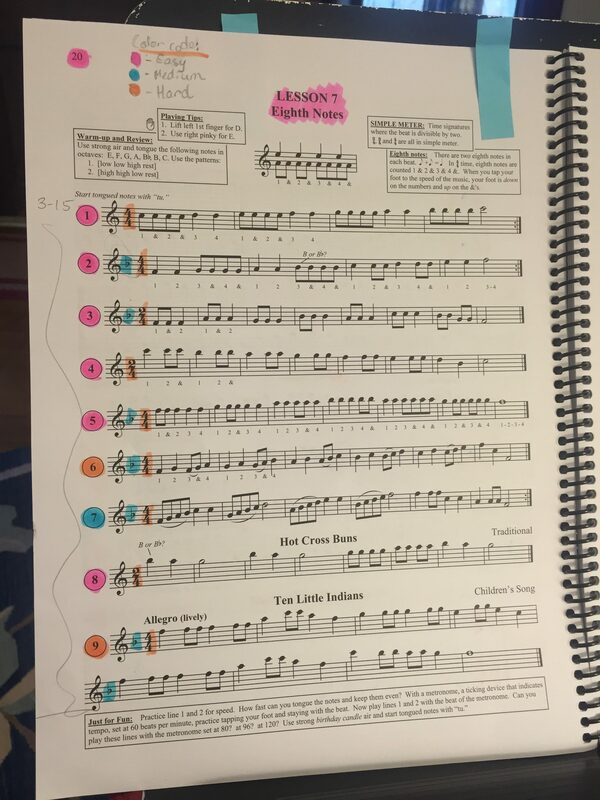 Key signatures are highlighted in blue and time signatures are in orange. It goes without saying that Madeline was very well prepared for her lesson this week also. Bravo! 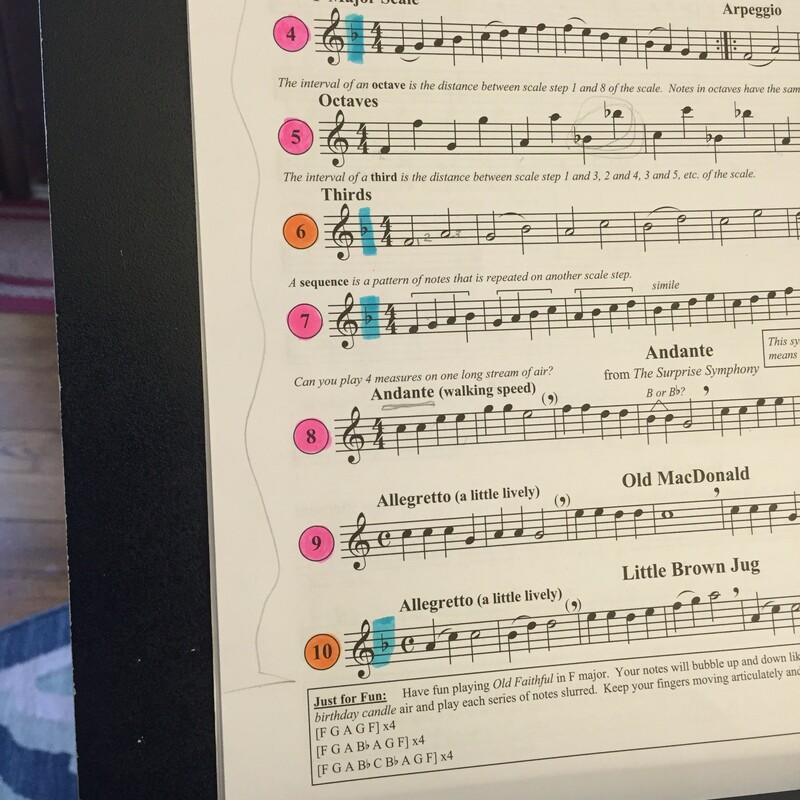 I had to chuckle when I saw how Mike* had marked his music this week. He also plays in school band where every E is E-flat. To remember that this E was natural, he drew a karate kid with a frown over the note. Humor is a great way to engage the brain in a playful way. 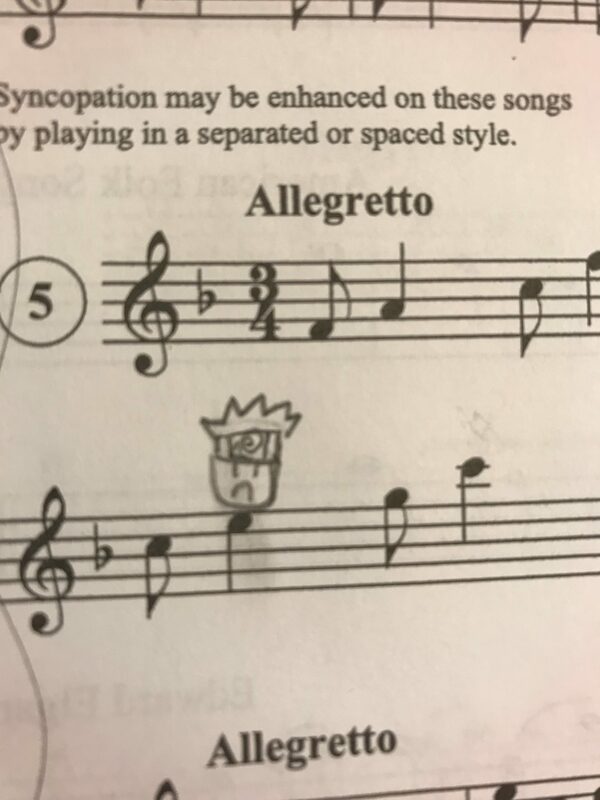 How do you like to mark your music? Do you use color? Do you have a system for showing which lines need extra work?